Local government innovation and faith in public service. Eric March, Strategic Initiatives Analyst for Durham County, NC joined the podcast to discuss Innovate Durham, a partnership program between the County, City of Durham and local startups. Eric shared his path in public service from an engineer to an innovation office. He also discussed his work for a church and compared the similarities of the work to local government. This interview was recorded from the 2019 Transforming Local Government Conference in Reno, Nevada. Two Mayors and a Chief of Staff. Mayor Danene Sorace, former Mayor Rick Gray and former Chief of Staff Pat Brogan joined the podcast to talk about creating and advancing Lancaster's strategic plan. Mayor Gray and Pat Brogan shared the creation of the city's first strategic plan and current Mayor Sorace talked about embracing and continuing to advance the plan. They also shared their paths into public service, the role of Chief of Staff and both mayors' perspectives on leadership. Civic dreamer and doer. Sarah Moss joined GovLove to talk about her unique career path that has switched between campaign and political roles to administrative roles. She shared what led to her first role in politics and how she ended up in local government. Sarah also discussed her work as a consultant and her professional philosophy. Engagement and shaping communities. Three guests join the podcast to discuss approaches to neighborhood planning and the work that goes into engaging residents. Mercy Murguia is a Commissioner for Potter County, TX; Dina Newman is the Director of the Center for Neighborhoods at the University of Missouri at Kansas City; and, AJ Fawver is the Planning Director for the City of Lubbock, TX. All three discussed their perspectives on planning and engagement as well as how each of their communities approach neighborhoods. Can't be neutral on a moving train. Two members of the leadership team in Iowa City, IA joined the podcast to talk management, recruitment and their path to public service. Geoff Fruin, City Manager, and Ashley Monroe, Assistant City Manager, shared their experiences going through hiring processes and what they look for in hiring leadership positions. Geoff and Ashley also talked about what they are working on, from data driven policing to engagement. Meeting people where they are. Jay Dawkins the CEO of PublicInput joined the podcast to talk about community engagement and reaching more people through engagement. Jay shared his career path to leading a software company and how they work with local governments. He talked about pitfalls in engagement like the "if you build it, they will come" mistake and why engagement matters. Diversity in the local government profession. Two professors from the University of North Carolina School of Government share findings from recent research on the diversity of city and county managers. Leisha Dehart-Davis and Kimberly Nelson talked about what they heard from interviewing managers for their "Near the Top" report and the importance of attracting women and people of color to local government management. Using and regulating drones in government. GovLove Legal is back. Derke Price and Erin Pell from the law firm Ancel Glink join the podcast to talk about the regulations around drones. From how the law varies from state to state to how the Federal government treats drones they cover what you need to know. Derke and Erin also share examples of how local governments are using drones to support their work. Shift Indy. Ken Clark the Chief Information Officer for the City of Indianapolis and Marion County, Indiana discussed his career path and his work updating the organization's website. Ken shared how he got buy in for a new approach to the website, the work that went into bringing it into the 21st century and how they improved the user experience. Ken also talked about the importance of understanding finances and how he cut his departmental budget while also taking on this enormous project. Engagement in Bologna, Italy. The Deputy Mayor of Bologna, Matteo Lepore, talked about how his city won an Engaged Cities award for their work engaging residents with local government. By engaging with residents the City is able to bring people into the process of shaping public spaces. Learn more from their case study: Co-Creating Urban Commons. Finding innovative ideas with residents not just for them. Tulsa, Oklahoma has been empowering their residents to address longstanding or emerging civic challenges in partnership with city staff. James Wagner, the Chief Financial Officer and former Chief of Performance Strategies and Innovation, talked about their Urban Data Pioneers and Civic Innovation Fellowship programs. Through these programs Tulsa residents can learn about data analysis or human centered design as they bring new ideas into City Hall. The city received an Engaged Cities Award for their efforts. Leading Hillsboro. Mayor Steve Callaway from Hillsboro, Oregon joined the podcast to talk about his path into public service, how his city works to attract people into local government and reaching out to the Latino community. Mayor Callaway also discussed his viral social media post on dealing with a racism and his love of the Hillsboro Hops. Cool things about parks. To celebrate the start of the #ELGLKnope Award contest for the best Park facility in the country we have an interview between Eleanor Wyatt and Bobbi Nance. Eleanor is a 9-year-old that has strong opinions about parks and Bobbi is the President of Recreation Results, a company that uses data and strategy to advise local governments in the parks and recreation sector. Using scrum in local government. Michelle Thong, the Digital Services Lead at the City of San Jose, CA, joined the podcast to talk innovation, iteration and engaging the tech community. She shared the three innovation behaviors her office works to encourage in the organization and how she works to be a multiplier. Michelle also talked about starting the Code for San Jose brigade and how the City works with volunteers. Transforming data into action. Miguel Sangalang, Deputy Mayor for Budget & Innovation, and Amanda Daflos, Innovation Team Director, joined GovLove to talk about their work at the City of Los Angeles, California. They discussed earning the top level of the What Works Cities Certification and how they are pairing budget with innovation. They also shared why they think data is important and how the City uses data to make decisions. Measuring employee engagement. Bob Lavigna the Director of the Institute for Public Sector Employee Engagement at CPS HR joined the podcast to talk about why organizations should take employee engagement seriously. He argues that there is a business case to keeping employees engaged at the workplace and that the best organizations have recognized this. He also shared his path into working with governments and the value of employee surveys. Battling disparities through planning. Two people from the City of Minneapolis, MN join the podcast to talk about the hottest comprehensive plan in the country, Minneapolis 2040. Heather Worthington is the Director of Long Range Planning and Paul Mogush is the Manager of Community Planning for Minneapolis. Heather and Paul discussed the goals of the new comprehensive plan, which put dealing with racial disparities at the center of their work, and how they engaged the public throughout the process. The new plan will make big changes to land use in the city including eliminating single family zoning and parking minimums. The best episodes of the year. All five regular GovLove hosts teamed up to hand out awards and recap the year of GovLove. Kirsten, Alyssa, Javon, Kent and Ben all selected four of their favorite episodes to honor with the most prestigious award in local government podcasting, a GovieLovie. In addition to handing out awards, the hosts shared what they hope to cover on the podcast in the future, their favorite holiday food and highlights from ELGL’s 2018. Problem solving in government. Brian Platt the Business Administrator of Jersey City, New Jersey joined the podcast to talk about managing the day to day operations of the city, innovation in local government and being named a babe of Jersey City. Brian previously served as the Chief Innovation Officer and he shared the work of the city's i-Team and how they've approached problem solving. Transportation & engagement. The Pennsylvania Secretary of Transportation, Leslie Richards, and the PennDOT Planning Chief, Brian Hare, join the podcast to talk engagement and the future of transportation. They shared their PennDOT Connects initiative which works to engage Pennsylvania residents before they implement transportation projects. Secretary Richards and Brian also talked about their career paths and how the State works with local governments. Economic development at the state level. Stefan Pryor, the Secretary of Commerce for the State of Rhode Island, joins the podcast to talk about his work attracting companies to the state. Stefan discussed the policies they've used to turn around Rhode Island's economy. He also shared his career path to the position, which included a stint as Deputy Mayor in Newark, NJ. Applying technology to make things better. John Covey, Chief Information Office of Shrewsbury, Massachusetts, joined the podcast to talk about software, local government IT and improving processes. John shared his career path to working at the Town of Shrewsbury, his definition of a technologist and what he sees as trends in the field. He also shared their experience working with ViewPoint Cloud to improve the permitting process. Getting the work done. Hana Schank, Public Interest Technology Fellow for New America, joined the podcast to talk about her recently published report on innovation in government. She interviewed problem solvers working across Federal, State and local governments to learn how they are trying to make government services better for residents. From what this field of innovation should be called, what teams across the country look like and common projects that teams are working on, Hana gave more info on what she found in her report. She also talked about the necessity of buy-in from top leadership and the importance of process over technology. Quality neighborhood drama. Jenn Takahashi, the chief lurker and founder of the parody account Best of Nextdoor, joined the podcast to talk about sharing the entertaining drama that happens on Nextdoor. Jenn shares what caused her to start the account, what the Nextdoor CEO thinks of it and what it's been like to have the account get so popular. Budgeting for Outcomes. In his new book Andrew Kleine, the former Budget Director for the City of Baltimore, MD, challenges how local governments budget. He writes about how he changed budgeting in Baltimore to focus on outcomes rather than line items. He joined the podcast to talk about how he learned about outcome budgeting, the process of writing a book, and his career path in government. LouieStat and changing culture. Daro Mott, the Chief of Performance Improvement for the City of Louisville, Kentucky, joined the podcast to talk about their use of data and focus on process improvement. Daro described Louisville's particular focus on professional development and training employees to change culture. He also shared his path into local government and their work to earn the What Works Cities Certification. Navigating the Supreme Court decision. Earlier this year the case of Janus v. AFSCME changed part of the relationship between local governments and unions. No longer can cities and counties collect union dues for non-union employees that benefit from union negotiations. Matthew DiCianni from the Chicago based law firm, Ancel Glink, joined the podcast to talk about the role of unions and the impact of the Janus decision. A lot of preparation and work goes into hosting a Super Bowl. Two communications professionals from the City of Minneapolis, Minnesota shared their story of hosting Super Bowl 52 in their city. Greta Bergstrom is the Communications Director and Jordan Gilgenbach is the Digital Media Relations Coordinator for the City of Minneapolis. They talked about the working with dozens of partners to keep residents and guests informed, how they prepared for cold weather and all the rowdy fans, plus they also described the training and support they got from the Federal government in preparation for the game. The President of the Greater Providence, Rhode Island Chamber of Commerce, Laurie White, joined the podcast to share how Providence works to attract businesses and entrepreneurs. She talks about how important it is to know your workforce, what businesses are looking for and how she works together with the State Secretary of Commerce. Good government for the people. Jenny Reed the Director of the Office of Budget & Performance Management for the City of Washington, DC joined the podcast to talk about how they use evaluation and performance management. She shared the work of the Lab @ DC, how they want to make a more data driven budget process and their use of low cost evaluations. Jenny also shared the process of earning the What Works Cities Certification and how that process helped her office and the City improve. A panel of local government staff, an elected official and a tech company staffer discussed the changing workplace. They shared their opinions on what they want to see from their employers, how government can better engage with residents and how local government needs to deal with diversity and inclusion. The group also took questions from the audience that hit on the urban-rural divide, the role of elected officials and white male privilege. The panel included: Lacey Beaty, City Council President at Beaverton, OR; Kylie Bayer, Human Resources Manager at McMinnville, OR; Jose Esparza, Community Engagement Specialist at Tualatin Hills Park & Recreation District; Pat Rollens, Public Information Specialist at Corvallis, OR; and Casey Earp, Engagement Manager at Bang the Table. This episode was recorded live from 2018 League of Oregon Cities conference in Eugene, OR. The author of a new book on the Flint water crisis joined the podcast to talk about what happened. Anna Clark, the author of "The Poisoned City: Flint's Water and the American Urban Tragedy," shared her perspective on the role of government in the crisis, the decline of local journalism and the importance of infrastructure. Anna also talked about instant replay, what a book tour is like and whether she still has trust in government. Trust and accountability in local government. Kevin Knutson, the Vice President of Customer Success at Envisio, joined the podcast to talk about strategic planning, accountability and his view on the biggest challenges facing local governments. He also shared how Envisio, a software company, is helping organizations stick to and achieve their strategic plans. Game day for one of college football's storied rivalries. Every year, the City of Jacksonville, Florida plays host to the Georgia-Florida Game (or Florida-Georgia, depending on the year) and welcomes two fanbases from rival schools for events, tailgating and more. Brent Fine, the Special Events Manager for the City of Jacksonville, and Rick Catlett, the President/CEO of Gator Bowl Sports, joined the podcast to talk about the planning it takes to pull off the annual event. They shared how they manage relationships with both universities, the unique history and tradition associated with the game, and the coordination on everything from parking enforcement to trash pickup. Transparency before it was cool. Three people from the City of Kansas City, Missouri joined the podcast to talk about how KCMO uses data to inform their decision making and how they hold themselves accountable to achieving their strategic plan. Kate Bender, Deputy Performance Officer, Bo McCall, Performance Analyst, and Chris Hernandez, Communications Director, shared the story of KC Stat, a monthly data and performance meeting. They also explained how the What Works Cities Certification helped them and what they learned from going through that process. College Football and Local Government. GovLove is looking at how local governments across the country deal with game day. Glenn Bartolome, a System Impacts & Events Coordinator for King County Metro Transit, joined the podcast to discuss how they get thousands of fans to the University of Washington football stadium. The stadium is located in a dense urban neighborhood and both the University and the county encourage fans to take transit to the game, Glenn explains how they work together to provide that service, how it impacts operations and who pays to shuttle fans from across the city. Getting outcomes from engagement. Kit Cole is a public engagement consultant and a board member of the International Association for Public Participation (IAP2). She discusses the value and types of engagement, plus the importance of engagement in local government. Kit also compares the approaches to engagement in big, urban cities like Los Angeles versus small, rural communities like Brownsville, Oregon. Prior to becoming a consultant Kit worked for public utilities, Waste Management Inc. and the California state government. Preserving quality of life in shrinking Iowa cities. A grant from the National Science Foundation is exploring how communities can protect quality of life and community infrastructure while they lose population. The Shrink Smart Project aims to develop data-driven tools to assist towns in actively planning for shrinkage. Three people from Iowa State University joined the podcast: Kimberly Zarecor is an Associate Professor of Architecture, Sara Hamideh is an Assistant Professor of Community & Regional Planning, and Eric Davis is an Assistant Professor of Computer Science. They discussed how they are using both data and qualitative research to figure out why some rural communities are maintaining their quality of life while they shrink and others don't. College Football and Local Government. Fall is here and that means football season, and at GovLove we are taking a look at how local governments across the country deal with game day. Mayor Walt Maddox from the City of Tuscaloosa, Alabama talked about how they handle the influx of fans filling the University of Alabama stadium, which seats over 100,000 people. From trash pickup and security to planning and transportation Mayor Maddox gives a behind the scenes look at one of the most raucous game day atmospheres in the county and how local government makes it possible. Playing matchmaker and reducing implicit bias. The CEO of Strategic Government Resources (SGR), Ron Holifield, joined GovLove to talk about how they are pushing local governments to change how they recruit. He shared his career path from time as a City Manager to leading a recruiting firm. Ron talked about his company's philosophy, the hierarchy of leadership and the SGRecruiter tool, which will match passive job seekers with organizations and help reduce implicit bias. Using data and design to creatively solve problems. Tina Walha the Director of the Innovation & Performance team at the City of Seattle, Washington joined the podcast to talk about her team's work. She shared her path into local government, which started with a stint in Mayor Bloomberg's administration in New York City. Tina discussed the work of Seattle's i-Team, how they are building on the use of data and what Seattle did to earn a What Works Cities Certification. A smart rural community. David Clyne the City Manager and Shawn Irvine the Economic Development Director join GovLove to talk about their work for the City of Independence, Oregon. This small city of about 9,000 people has used technology like municipal broadband to infuse a culture of technology into the work of the City and the culture of the community. They have worked on projects using a virtual situation room, agricultural technology and more. Code for America recently hosted a National Day of Civic Hacking as a call to action bringing together civic leaders, local governments, and community organizations. Groups across the country got together to work on some of our toughest challenges. ELGL Executive Director, Kirsten Wyatt, was down in San Francisco, California at the Code for America headquarters and talked to three participants in the National Day of Civic Hacking. Alex Gaesser discussed working on bike transportation, Connor English talked about a project dealing with foster care and Matt Castillon lead a group working with building inspections data to deal with affordable housing. The Robert Wood Johnson Foundation's Culture of Health Prize recognizes communities that have placed a priority on health and are creating powerful partnerships and deep commitments to provide everyone, especially those facing the greatest challenges, with a fair and just opportunity for health and well-being. Katie Wehr from the Robert Wood Johnson Foundation and Julie Willems Van Dijk from the University of Wisconsin's Institute of Public Health joined GovLove to talk about what a culture of health is, stories from communities that are doing it well and different approaches to public health. The City Manager of Hillsboro, Oregon, Michael Brown, joined GovLove to talk about his approach to recruiting for department directors and other top level vacancies. Michael shared how when his Assistant City Manager announced their retirement he spent time rethinking the position and allowing the departments and staff that will report to the new person to have input on what to look for. He also shared his career path into local government and his passion for the band Tool. In Governing and Living Cities' 2018 Equipt to Innovate survey the City of Fayetteville, North Carolina was chosen as the top overall performer. Rebecca Jackson, the Strategic Performance Analytics Director, joined the podcast to talk about her work and what it means to be chosen as the most innovative city in the nation. Rebecca shared Fayetteville's approach to strategic planning, how they include resident input and their process improvement work. Why not Dodge? Melissa McCoy, Assistant City Manager/Public Affairs, joins GovLove to talk about the tourism industry and the old west. The City of Dodge City, Kansas turned around the old phrase "get the heck out of Dodge" into an effort to bring people to the queen of the cowtowns. In 1997 residents of Dodge City voted to approve a dedicated portion of the sales tax to fund projects to encourage tourism. Managing change and investing in dignity in Mississippi's state capital. Dr. Robert Blaine joined the podcast to talk about his role as the Chief Administrative Officer for Mayor Chokwe Lumumba in Jackson. He shared what it's like setting up an administration and what they've dealt with in the first year in office. Dr. Blaine described his path into local government, he was a trombonist, conductor and academic before making the leap into managing a city. He also talked about Jackson's strategic plan and taking over the Jackson Public Schools. Trends in civic technology. Andrew Kirk, the Chief Revenue & Operations Officer for CitySourced, joined the podcast to talk about civic technology from his vantage point as a vendor. Andrew shared his path to civic tech, how he sees government changing, and CitySourced's efforts to build a mobile City Hall. Two Innovation & Technology staff from the City of Boston, Massachusetts joined the podcast to talk about their work. Laura Melle is the Sr. Procurement Lead and Stefanie Costa Leabo is the Interim Chief Data Officer, both shared how they are using their positions to be a resource for city departments. They discussed how Boston is doing procurement differently (including more RFPs), how they are using data to make decisions, and how What Works Cities helped them do those things. The Metropolitan Sewer District of Greater Cincinnati was the inaugural winner of ELGL & The Atlas' Water You Waiting For Award, recognizing the best water project. Reese Johnson, Principal Engineer for the sewer district, came on the podcast to talk about their smart sewers project and his passion for wastewater. Reese explained how smart sensors are helping to keep wastewater out of local streams and rivers in Cincinnati. Plus he describes working with IT staff and gives tips to other people that want to change their industries. From municipal bankruptcy to universal basic income. Kurt Wilson, the City Manager of Stockton, California, has managed the city through a lot of change. Kurt came on GovLove for a wide ranging conversation that covered his path into public service, principled policing in Stockton, working for Governor Schwarzenegger's administration and more. He described what it's like to manage a City through the bankruptcy process and how Stockton will be the first city to pilot a universal basic income program. Performance and analytics in the City of San Diego, California. Almis Udrys, Deputy Chief of Staff for Innovation & Performance, and Maksim Pecherskiy, Chief Data Officer, joined the podcast to discuss their work solving problems and improving customer service using data. Each talked about their path into local government, why pandas are their department's mascot, and what San Diego did to earn a What Works City certification. A podcast on technology in the public sector. Civic Tech Chat is hosted by Ryan Koch and explores everything from open data to innovation. Ryan joined GovLove to talk about his path into public service, which started in the Army and included a deployment to Iraq. He also explained why he started the Civic Tech Chat podcast, what they are hoping to achieve with the podcast and even his dream guest. From public records requests to emergency communications we talk with two local government attorneys about all the legal questions that come with Police body cameras. Dan Bolin and Ellen Emery, two Partners at the Ancel Glink law firm in Chicago, Illinois share their expertise and experience on the issue. They share common concerns from working with Police Departments, the hidden costs of body worn cameras and how the videos can help with getting information to the public. Three Parks and Recreation professionals from across the country joined GovLove to talk about their work. They talked about how they are working to be more equitable, from serving the Spanish speaking community to building parks for residents with disabilities or engaging young people. Learn how all three organizations are being innovative and using partnerships to provide better services. Kylie Bayer-Fertterer is the Equity Coordinator for Tualatin Hills Parks & Recreation District (THPRD) in the Portland metro area; Justin Cutler is the Recreation Services Manager for the City of Westminster, Colorado in the Denver metro area; and, Peter Cosmiano is the Director of Parks and Recreation in the City of Jasper, Alabama outside of Birmingham. Building capacity and empowering employees through the use of data. Joy Bonaguro, the Chief Data Officer for the City and County of San Francisco, California discusses her path to local government, her approach to data and scaling solution. She also shared why San Francisco went for the What Works Cities Certification, which she describes as something that was missing from the field because it provides a framework for government, has political durability, and is externally validated. The genius behind City Council Chronicles, Michael Karlik, is back with a new podcast. Tear It Down tells the story of North College Hill, Ohio and a "small group of outsiders wanted to change their city for the better." Michael shares why he started the City Council Chronicles, what he's learned from watching Council meetings around the world, and why he spent 10 months looking into a small Ohio town. From the NFL to the campaign trail. Aaron Rouse, former Green Bay Packer, is running for City Council in Virginia Beach, Virginia. He talked about why he's running for office, how local government needs to change to be more inclusive and representative of the people it serves. Aaron shared his vision for Virginia Beach, collaborating regionally and serving all residents in the city. Local Government IT in Silicon Valley. Jonathan Reichental the Chief Information Officer and Chief Technology Officer in Palo Alto, California shared his perspective on procurement, recruitment and civic tech. He talked about his path into local government, how cities can do a better job of making technology a part of their strategy and what he sees as trends in the field. Christine Edwards, the Community Relations Coordinator for Mecklenburg County, NC, and James Gaston III, a Budget Analyst for Petersburg, VA, join the podcast to talk about the work of NFBPA and making local government more diverse. They discuss ELGL's diversity dashboard and the importance of measuring how diverse our workplaces are. They also share how to start a conversation about diversity and the importance of representation. Organizing to solve our nation's problems. Jenn Brown the Executive Director of Civic Nation joined GovLove to talk about her work fighting for social change and organizing. Civic Nation runs organizing and public awareness campaigns to empower people to address some of our biggest problems. Prior to working at Civic Nation Jenn led Battleground Texas and the Obama campaign's efforts in Ohio. Jenn shares her path into public service and experience fighting for equality. Making the world better. A father-son duo join the podcast this week, Tom Barwin is the City Manager of Sarasota, FL and his son Connor Barwin is an NFL defensive end and Pro Browler. They talked about their influences, giving back to the community and more. Connor also shared the work of his non-profit Make the World Better and how his father's career impacted him. A new program from Bloomberg's What Works Cities is recognizing and celebrating the local governments that are leading the nation in the use of data. Simone Brody, the Executive Director of What Works Cities, and Jennifer Park, the Associate Director, came on GovLove to talk about What Works Cities Certification. They share why cities should pursue certification, success stories from the first 9 certified cities and how it can be scaled to all sizes of cities. Topics: Lightning round (3:05), What the certification program is and why it matters (6:05), The similarities between cities that applied (8:40), The blueprint for getting certification (10:35), Success stories from the certified cities (16:00), How certification helps with a cultural change toward data (24:30), Scalability of solutions for smaller cities (26:40), and How they want certification to be a national movement (31:10). The procurement process often frustrates local governments and vendors alike, but it seems like a process that will never change. Mariel Reed the Founder and CEO of CoProcure wants to rethink that. CoProcure is a startup that helps local governments improve procurement to promote economic development. She came on GovLove to discuss her work, the potential for a 'Common App' for procurement and the work she did at the San Francisco Mayor's Office of Civic Innovation. Topics: Lightning round (2:00), Mariel's career path (9:00), Her work at the San Francisco Mayor's Office (13:10), the Civic Bridge and Startup in Residence programs in San Francisco (16:25), the work of CoProcure (28:25), the case for the 'Common App' for government procurement (32:50), and what's next for CoProcure (43:50). Balancing work and life, recruiting the best and brightest, and preparing future leaders. Three guests joined GovLove to talk about the workforce of the future and their perspectives. The panel included: Joey Garcia an Administrative Analyst in Torrance, CA; Peter Castro the Assistant to the City Manager in Indian Wells, CA; and Kristen Nelson a Sr. Executive Assistant in Indian Wells, CA and Director of Programming at MMASC. This episode was recorded in front of a live audience at the ELGL Roadshow in La Quinta, California on January 25, 2018. This week we have a throwback episode! Two glass ceiling shattering women joined GovLove back in 2016 to talk about policing. Chief Jeri Williams, who now leads the Phoenix police department, was the Chief in Oxnard, California during this interview. Chief Denise Turner, who is now retired after 31 years in law enforcement, lead the Gilroy, California department back when this episode first aired. They each shared their path into the field of policing, what it's like being a female police officer and how the field has changed during their career. This episode will make you laugh, will make you think, and will make you want to work for these two remarkable and inspiring chiefs. Topics: Their career paths into policing (1:55), The importance of mentors (9:05), Recruiting women into law enforcement (15:15), The perspective & skills women bring to policing (26:15), Their first year as police officers (30:10), The value that female police officers bring to the department (34:40), and the lightning round (40:45). The second in command and go-to person. Three Chiefs of Staff join GovLove to talk about the uniqueness of their job. From gatekeeper to stand in, Chiefs of Staff handle different things everyday. Samantha Harkins works for Mayor Andy Schor in Lansing, Michigan. Laura O'Sullivan works for Mayor Pete Buttigieg in South Bend, Indiana. James Hardy works for Mayor Dan Horrigan of Akron, Ohio. A very Parks & Rec episode for you. Jim O'Heir the actor that played the lovable Jerry Gergich (or is Garry?) came on GovLove to talk about the hit NBC show, his career in the entertainment industry and more. Jim sat down with co-hosts Alyssa Dinberg and Javon Davis in Kansas City, MO City Hall to give a behind the scenes look at ELGL & GovLove's favorite show. Design thinking, pop-up coffee shops and open data in the library. Susan Brown the Director of the Chapel Hill Public Library joined GovLove to talk about running a local government library and prototyping. She also shared her Banned Books Trading Cards project, her career path into libraries and how the library engages with other local government departments in Chapel Hill. Right now at ELGL we're running a contest for the best Library in the nation. Go to ELGL.org to vote for the Leslie B. Knope Award. Topics: Lightning round (1:25), Susan's career path into public libraries (11:40), How the library works with other departments (22:15), What goes into running a library (24:00), Using user experience & design thinking (31:15), Pop-up coffee shops in the library (36:05), the Banned Books Trading Cards project (40:50), and programming and events in a library (44:50). Using power to make a difference in people's lives. Nashville, Tennessee's first female Mayor, Megan Barry, joins GovLove to talk about her path into public service and her time as Mayor. Mayor Barry discusses inspiring women and girls to run for elected office, diversity in local government, and Nashville's vision zero efforts. Topics: Lightning round (2:55), The influence of her parents on her career (9:00), Her experience as a woman in politics (13:20), Inspiring women and girls to run for elected office (15:55), Women for Tennessee's Future (17:45), Diversity and inclusion initiatives in Nashville (22:10), Working with the Metro Council on issues like transportation, housing and MLS (25:35), Her career as a politician (37:25), Balancing work and life and the death of her son (42:30), and why she takes the bus to work (51:35). The authors of a new book, The New Localism: How Cities Can Thrive in the Age of Populism, Bruce Katz and Jeremy Nowak joined the podcast to talk urbanism and cities. Bruce and Jeremy share how localism isn't just local government solving problems, but bringing different stakeholders together to tackle big issues that cities face. Topics: Lightning round (1:40), Mt. Rushmore of Mayors (8:15), Writing "The New Localism" after the 2016 election & Brexit (19:20), Writing as co-authors & the aim of the book (23:30), The story of Pittsburgh & localism (36:20), Dealing with homelessness through localism (39:40), Diversity in the workforce (44:55), and The issues that need to be addressed in 2018 (51:50). The first Smart City Coordinator for the City of Seattle, Washington, Kate Garman, joined GovLove to talk about her role and her thoughts on tech and local government. Kate revealed what a day in her job is like, what makes a city "smart" and what working in Amazon's hometown is like. She also compared working for Kansas City, MO with Seattle and her advice for those entering the profession. Topics: Lightning round (0:45), How Kate got started in local government (5:40), Her definition of a "smart" city (7:45), A day in the life of a Smart City Coordinator (9:35), Why Seattle created her position (12:40), Comparing Seattle to Kansas City (16:30), How small cities can also be smart (18:10), Kate's work on AirBnB policies in Kansas City (20:00), Thoughts on Amazon & its new headquarters search (27:05), and Kate's advice for people starting a career in local government (34:00). Aaron Foley is an author, journalist and now the Chief Storyteller for the City of Detroit, MI. He joined GovLove to talk about his position, which was created by the Mayor last year, and the unique work he's doing as a city employee. Aaron discussed his career path in journalism, the decision to take a job in local government and the importance of telling Detroit's stories. Topics: Lightning round (2:50), Aaron's career path & influence of his parents (7:55), Standing up for Detroit after its downturn (15:15), Best books on Detroit & his mixed feelings on Detroit's comeback (20:20), Taking the Chief Storyteller job with the City (27:50), The work they did in year one (35:00), How they work with the City's communications shop (45:35), and Navigating local government bureaucracy (52:30). Leading Kansas City. Troy Schulte, the City Manager of Kansas City, MO, joined GovLove to talk about leading an organization of 4,400 employees. He discussed the City's bond program, using performance and data in local government, and the Royals World Series chances. He also talked about the challenges Kansas City faces and investing in the future. Topics: Lightning round (0:25), Troy’s career path in local government (10:20), Starting a performance office in Kansas City (15:55), The City's bond program (19:20), Using data in local government (23:20), His favorite part of his job (25:35), The challenges Kansas City faces (30:05), Importance of transportation (32:40), and The Kansas City Royals victory parade (35:35). We take the last episode of the year to recognize our favorite episodes and interviews of 2017. GovLove hosts Kent Wyatt, Kirsten Wyatt and Ben Kittelson all handed out awards in different categories to their 15 favorite episodes. The episode also covered the most listened to episodes of the year and plans for 2018. Topics: 2017 recap (1:05), Most listened to episodes (4:05), Segments! Best gifts & funniest ELGL thing in 2017 (7:55), The GovieLovie Awards (16:30), Looking ahead to 2018 (1:00:20), and Can't let it go (1:06:00). Creating spaces for people. Two representatives from the Project for Public Spaces, Laura Torchio and Elka Gotfryd, joined the podcast to talk about how to shape and influences places. They discussed projects that they have worked on across the country, how engagement is important to placemaking and tools for people that want to do placemaking. Topics include: Lightning round (1:20), How Laura & Elka got into placemaking (6:45), The work of Project for Public Spaces (12:55), Their definition of placemaking (15:05), Example projects (17:50), Importance of engagement & whether placemaking leads to gentrification (29:20), Examples of placemaking in small towns & rural areas (35:40), and Tools for placemaking (40:20). The acclaimed writer, urbanist and best selling author, Richard Florida joins the podcast to discuss his new book and the challenges cities face. Richard is a professor and Director of Cities for the Martin Prosperity Institute at the University of Toronto, his most recent book "The New Urban Crisis" deals with the increases in inequality and segregation cities have experienced. He discusses the book, his love of Jimi Hendrix and the three T's of technology, talent and tolerance. Improving collaboration and innovation in local government. Ellory Monks from The Atlas and Kip Harkness, the Deputy City Manager of San Jose, CA, join GovLove to talk about their work. The Atlas is a marketplace for local governments to work together and learn from each other on infrastructure projects. Kip leads the Office of Civic Innovation in San Jose. They discuss everything from juggling fire and celebrity look-a-likes to improving procurement and email management. Topics Include: Lightning round (3:40), background from Ellory on The Atlas and how it was formed (12:25), what Kip learned working for PayPal (16:00), what Kip thinks innovation is (17:20), creating a place to fail forward (21:00), how Atlas and San Jose worked together (23:55), the office of innovation in San Jose (33:10), and what Kip and Ellory look for when they're hiring (43:20). Paying for the service outcome rather than the cost of implementation. Brian Beachkofski from Third Sector Capital Partners joins GovLove to talk about a new contracting model called Pay for Success contracting. He shares examples of local governments using the model and how it can be more effective in delivering services to people. Topics: Lightning round (1:10), introducing the Pay for Success concept (3:25), examples of organizations like Los Angeles County using this model (4:40), the role of Third Sector in the process & implementing it in an organization (7:45), using data to make decisions (14:25), getting organization buy-in (19:50), and working with different levels of government (28:50). Managing in a consolidated city and county government. Jestin Johnson, the Assistant Manager of Athens-Clarke County, GA consolidated government, joins the podcast to talk about his career path and management philosophy. He shared his strong opinions on parking, being a player-coach type of manager and how important town-gown relations are in Athens. Topics: Lightning round (0:30), Jestin's career background (4:45), what it's like working for a consolidated city-county government (10:50), skills it takes to manage very different job types (16:15), the Athens-Clarke County innovation ambassador program (18:55), working for a college town and town-gown relations (21:40), lessons from his career and Jestin's management style (24:10), and working in consulting (29:45). This interview was recorded at the 2017 ICMA Conference in San Antonio, TX. Recruiting & retaining talent in local government. Heidi Voorhees, the President of GovHR USA, joined GovLove to talk about the work of finding and attracting talented local government employees. Heidi discussed her experience as a Management Fellow in Kansas City, MO with current fellows Javon & Alyssa. She also talked about the importance of LinkedIn and the drawback of residency requirements. Topics: Lightning round (0:35), Heidi's experience as a Kansas City Management Fellow (3:30), what drew her to human resources (5:45), tech in human resources (7:00), recruiting & retaining the next generation (8:55), GovHR USA's work (10:55), the challenge of finding and attracting talent (14:50), and her LinkedIn tips (22:25). Brent Stockwell, Assistant City Manager of Scottsdale, AZ, joined GovLove to discuss his work on performance measurement, behavioral insights and his favorite color. Brent described how Scottsdale is taking a new approach to simplifying city reports. He also shared his thoughts on diversity in local government and how tourism has shaped Scottsdale. Topics: Lightning round (1:20), using behavioral insights in Scottsdale (7:40), simplifying reports & communication (19:00), managing tourism (25:15), his work on benchmarking (29:55), his thoughts on diversity in local government (38:20), and how he got into local government (43:35). This interview was recorded from the 2017 ICMA Conference in San Antonio, TX. What startups and local government can do to work better together. Barry Greenfield the Co-Founder of GovLaunch, a platform for local governments to compare and review technology solutions. Barry discusses his career path, which includes a stint as an elected official, and what local governments and startups can learn from each other. Topics: Lightning round (0:45), why Barry ran for local office (3:00), how local government can better engage (4:00), the mission of GovLaunch (7:00), what cities and startups can learn from each other (13:10), and how the procurement and RFP process can be improved (16:40). Innovation, performance and public service in Little Rock. Two people from the City of Little Rock, AR join GovLove to talk about their work. Melissa Bridges, Performance & Innovation Coordinator, and Susan Langley, City Clerk, discuss the Commodores, their career paths and a cross-departmental quality of life group. Topics: Lighting round (2:30), how children impacted their careers (7:45), challenges and innovations in Little Rock (10:20), communicating to the public (19:25), what they want to bring to Little Rock (23:00), thoughts on public service and balancing work and life (26:35). Get to know the City Manager of Decatur, Georgia. Peggy Merriss joins GovLove to discuss her career in local government, which includes 24 years as City Manager and stints in leadership positions with ICMA. She talked about the projects going on in Decatur, her experience as a woman in local government and more. Topics: Lightning round (0:50), Peggy's career background (1:45), road diets (4:30), what keeps her in Decatur and how it's changed during her career (6:40), her time as ICMA's first female president (12:30), the importance of local government (18:05), top speakers at ICMA (21:00), and advice to someone starting their career in local government (25:00). Forest fire and emergency response. Cindy Cameron Ogle the City Manager of Gatlinburg, Tennessee joins GovLove to discuss what it was like to manage the city through a forest fire that destroyed 2500 buildings last year. She shared her experience dealing with the crisis and how both her home and the Mayor's home were lost in the fire. Cindy also discussed her leadership style and her path to becoming a City Manager. Topics: Lighting round (1:10), Cindy's path into local government and becoming a City Manager (3:30), the experience of the 2016 wildfires in Gatlinburg (8:15), losing her home in the fire and supporting employees (17:50), and rebuilding after the fire (27:40). This interview was recorded at the 2017 ICMA Conference in San Antonio, Texas. Leading Gahanna, Ohio and improving processes. City Administrator Jennifer Teal joins GovLove to discuss how she's used her black belt in Lean Six Sigma to improve operations and the unique way they taught residents to use roundabouts. Jennifer also shared her experience as a female City Administrator and how she balances her work and life. Topics: Lightning round (1:30) including her celebrity look alike and top four mentors and concerts attended. Jennifer's career path and her experience being a woman in local government leadership (5:05), what she looks for when hiring (7:40), the issues she deals with in her job (8:45) like infrastructure, growth and personnel issues. Her work using Lean Six Sigma principles and changing culture to challenge the way things have been done (14:20). Teaching residents about roundabouts (25:25). Her thoughts on diversity in local government and supporting families in the workplace (29:35). From City Manager of Austin, Texas to leading ICMA, get to know Marc Ott. The Executive Director of the International City/County Management Association (ICMA), Marc Ott, joined GovLove to discuss his career path in local government and his first year on the job at ICMA. Marc also shared his thoughts on diversity in local government as well as the importance of cities in the age of ineffective federal and state governments. Topics include: Lightning round (0:50) including what book he's reading & his role model. What got Marc into local government (6:20), his time at the City of Austin, TX (11:50), his role with ICMA (23:50) including his thoughts on diversity, reflections on his first year and comparing being a City Manager with being Executive Director. Working with strong mayor cities and the National League of Cities (37:15) and the importance of local government (40:15). Open data and innovation from coast to coast. Brendan Babb, the Chief Innovation Officer of Anchorage, Alaska and Sam Edelstein, the Chief Data Officer of Syracuse, New York join GovLove. They answered questions from our listeners, talked about how innovation doesn't have to be fancy and the role of an innovation office in a city. Local solutions to homelessness and practicing radical empathy. Andrew Hening the Director of Homeless Planning & Outreach for the City of San Rafael, California joins GovLove to discuss his work reducing the homeless population in Silicon Valley. He also discussed his career path into local government, from law school to Americorps Vista. Andrew Hening took the #1 spot in this year's ELGL Traeger List of local government influencers. This episode was hosted by Javon Davis and Alyssa Dinberg, two Cookingham-Noll Management Fellows in Kansas City, MO. He started as a management assistant and now he's the Director of Economic and Property Development for the City of Long Beach, California, get to know John Keisler. John was also the innovation team director in Long Beach. In this episode Kent talks with John about his career path, role models and his definition of innovation. An international perspective on reporting and government. We're joined by a columnist and foreign correspondent during his recent trip to Kettering, Ohio. Ian Birrell a contributing editor of The Mail on Sunday and writer for several papers in London, England talked about his work as an international reporter and adviser for speech writing and crisis management. This episode was guest hosted by Stacy Schweikhart. Hurricane Irma made landfall in Florida on September 10 but the preparation to weather the major storm started well before then. Dan Biles, the County Manager of Pasco County, FL joins the podcast to discuss all the work that went into preparing for Hurricane Irma and what they have left to do now. He also shared the key role social media played in the County's communications strategy before, during and after the storm. How cities will be adjusting to automated vehicles and e-commerce. Dr. Ben Clark & Dr. Nico Larco from the University of Oregon join the podcast to discuss the impact of driverless cars and online shopping. Local governments will be adjusting through their tax and revenue policies, land use and more. These changes are already here, many brick and mortar retail stores are closing and Uber and Lyft are impacting how the public uses streets and parking. Career day with the County Manager of Ellis County, Kansas. To celebrate the start of the new school year we have an interview between second grader Eleanor Wyatt and Phil Smith-Hanes, the County Manager of Ellis County, KS. They discuss his career path, what he likes about his job and the differences between a county and a city. Film permits, building applications and more. Dale Fisseler, the City Manger of Waco, Texas, joins GovLove to talk about his career and managing a college town. He also discussed the impact of the TV show Fixer Upper on the city's planning and inspections department, as well as his journey from the water department to the city manager's office. #147 Local Government Law: Are You Tweeting Into Trouble? Local government law and social media. In a new series we're exploring the legal side of local government and this week it's all about social media. Dan Bolin and Julie Tappendorf from the Ancel Glink law firm in Chicago, IL join the podcast to discuss. They talk about the cases and trends they are seeing in the legal world around social media. Helping kids and creating social innovation. Dr. Lisa Morris Hibbler joins GovLove to discuss her work at the City of Las Vegas, NV. She talked about how the City works closely with the school system to improve educational achievement, attendance and graduation rates. She also explained what exactly social innovation is and ranked her favorite movies. True love in local government. We talk with three people whose spouse also works in public administration. They discuss balancing two local government careers, discussing issues at the kitchen table and taking advantage of two networks. Justin Miller works in Lakeville, Minnesota; Dianne Miller works for Eagan, Minnesota; and Ashley Garcia works for Costa Mesa, California. Encouraging women and girls to get involved with local government. Commissioner Denise Driehaus is the first woman to serve on the Hamilton County, OH Board of Commissioners in 25 years. She wants to make sure that doesn't happen again, so she's starting a Women and Girls Council. Commissioner Driehaus talked about her goals for that Council and what the county is doing to battle Ohio's opioid epidemic. Local government in the path of totality. Lili’a Uili Neville from Benton County, OR and Patrick Rollens from the City of Corvallis, OR join GovLove to talk about preparing for thousands of visitors for the coming solar eclipse. Patrick and Lili'a also share some of the disruptions to services they expect to happen during the eclipse and the strangest question they've gotten. The youngest Mayor ever elected to serve the City of Richmond, VA joins GovLove. Mayor Levar Stoney talked about why he wanted to run for local office, what he's learned so far in his seven months on the job and how he's working to change the culture at City Hall. Mayor Stoney discussed his vision for improving education and how the City is working to deal with the history of Richmond's Monument Avenue. GovLove International returns! Jonathan Veale from the City of Calgary, Alberta talked about how he works to inspire innovation and solve civic challenges. This includes a unique idea platform where residents submit ideas to improve their community and others vote to support them. This crowd sourcing platform, known as Civic Innovation YYC, has lead to over 600 ideas to improve efficiency and effectiveness of city government. Moving for a job opportunity is often a reality for someone pursuing a local government career. Three professionals who recently moved for a job join GovLove to give their advice and perspective on making that move. Tanya Ange is the Deputy City Manager of Boulder, CO and moved from Mankato, MN. Kristin Donald is the Finance Director in Bozeman, MT and moved from Denver, CO. Clay Pearson is the City Manager of Pearland, TX and made the move from Novi, MI. Talking trash. Ginger Spencer, the Public Works Director of the City of Phoenix, AZ joins the podcast to talk about their ambitious waste diversion plans and the innovative programs they have to encourage economic development with trash. Ginger also shared the department's efforts to increase women in minorities in public works. The need for affordable housing is an issue that cities across the country are facing. Melissa Maddox-Evans joins the podcast to discuss the role of the local Housing Authority. She is the CEO of the Housing Authority in Charleston County, SC and the General Counsel of the City of Charleston, SC Housing Authority. Melissa discusses the services housing authorities provide and how local governments can work with them. The Chief Performance Officer of the City of Cincinnati, OH, Leigh Tami, joins GovLove to discuss data and performance. She shares her background and path to local government, what she looks for when hiring and the importance of data. Leigh also shares her experience as a woman in local government and her theme song. The legendary Malcolm Gladwell joins the podcast to discuss the education system in America, social justice and the second season of his podcast, Revisionist History. Gladwell has been a staff writer at the New Yorker since 1996 and is the author of several books including David & Goliath, The Tipping Point and Blink. Giovania Tiarachristie argues that if planning was a room, the elephant in it would be race. Giovania is the author of an amazing report exploring the barriers to recruiting and retaining planners of color. In this episode she discusses her report, the hazards of colorblindness, the value diversity can bring, micro-aggressions and so much more. Her report on diversity in planning has lessons and solutions for employers in any field or public sector organization. The GovLove international team returns with the City Organizer of Jane's Walk Toronto, Alia Scanlon. She talks about the mission of Jane's Walk, an organization that puts on free, locally organized walking tours, in which people get together to explore, talk about and celebrate their neighborhoods. These walking tours celebrate the legacy of Jane Jacobs an urbanist, author and planner GovLove International is hosted by John Allore, the assistant budget director of Durham, NC. Chris Hamilton joins GovLove to talk all about car-free transportation, planning and paradise. Chris is the Car-Free Key West program manager and former Transportation Bureau Chief for Commuter Services in Arlington County, VA. He shares how small investments in marketing can impact transportation use, the value of bike share and more. The Intern Files is back, this time Madison Thesing interviews Michael Lawson from the City of Aurora, Colorado. Michael leads the city's special projects office and he discussed how Aurora is taking a new approach to hiring, on-boarding and culture. The "Shift" program started in August 2015 and its goal is to help Aurora attract the next generation of local government leaders. Figuring out the best way to get residents involved and participating in local government has been a hot topic in cities across the country. Matthew Crozier from Bang the Table has been doing engagement work around the world and came on GovLove to discuss best practices, how cities can do better and more. Lauren Lockwood, the Chief Digital Officer for Boston, MA joined GovLove to talk about technology, communications and bringing new thinking to local government. She discussed redesigning the city's website and holding government to the same standard as the private sector when it comes to digital engagement. Kathy Nyland the Director of the Seattle, WA department of neighborhoods joined GovLove to talk about rethinking neighborhood engagement. With the goal of getting more people involved her department is working to find new ways to engage residents of the city. Kathy also shares her path to local government, which started as an overly involved resident and led to her current appointment. Stephen Goldsmith, Director of the Innovations Program at the Harvard Kennedy School of Government and the former Mayor of Indianapolis, IN joins GovLove to talk about data, innovation and more. He compared his role as Mayor with being Deputy Mayor at New York City, discusses social media in government and the work of Data-Smart Cities Solutions. Justin Marlowe from the University of Washington Evans School & Alicia Shatteman from Northern Illinois University join GovLove to discuss what they see as the trending topics in local government. From technology to communication and the use of the M-word Justin & Alicia share what they are seeing from their MPA students. Chris Morrill, the City Manager of Roanoke, VA for one more day, joins GovLove to talk about his next career step. He discussed his career, which included a stint in the Peace Corps and consulting in South Africa, and how hard it was to make the choice to become the next Executive Director of GFOA. He discusses managing Roanoke through the Great Recession and how the city worked to revitalize its downtown. And learn about Chris' plans for GFOA and why he thinks it's a vital association. The CEO of the American Water Works Association, David LaFrance joins the podcast to talk about his work with the professional association, the challenges to Water service, Flint and more. David also discusses his career path, which includes a stint as the Finance Director at Denver Water. Welcome to the first episode of GovLove International! In this new monthly series we'll interview a local government professional from outside the US. This month John sat down with Gord Hume a speaker and advisor on local government in Canada. Gord is a former city councilor of London, Canada and has written several books on local government. In this interview he discusses his latest book, "The Leadership Crisis" an analysis of leaders in city halls. GovLove International is hosted by John Allore, the assistant budget director of Durham, NC and produced by Tony Reed, the assistant city manager of Mt. Angel, OR. Jane Brautigam the City Manager of Boulder, CO joined GovLove to talk about her career path and making the leap from law to management. She also shared her perspective on diversity in local government, affordable housing in Boulder and dealing with prairie dogs. Jane has been the City Manager of Boulder since 2008 and prior to that was the manager of Dublin, OH, Loveland, CO and was an attorney for several local governments in Colorado. Chris Reykdal is a graduate of the North Carolina MPA program, former teacher and the new superintendent of public instruction for the State of Washington. Kirsten talks with Chris about his career path, how his public administration background helps him in his new position and why local government practitioners should think about running for office. The latest installment of the Intern Files features the president! Lee Feldman, the City Manager of Ft. Lauderdale, FL, is the current president of ICMA. Madison asked him about his career path, his plans for his presidency and advice for someone new the profession. The City of Peoria, IL and the City of Vancouver, WA squared off last week in the championship round of the ELGL City Hall Challenge. This March Madness style bracket asked cities from across the country to compete for the best City Hall in the nation. Kent chatted with the two finalists right before the contest closed about what they learned, how they got the word out and more. The guests were Stacy Peterson from Peoria and Sophie Banner from Vancouver. Cari Anne Cashon, entrepreneur and author, joined GovLove to talk about her passion for public service. She talked with Kent about her interest in local government, volunteering and You Go Girl her book that aims to inspire girls to pursue their dreams. Coming to Charlottesville, VA in April is the Hometown Summit, a celebration of small and mid-sized cities across the country. The summit is a convention and celebration of leaders who have spearheaded some of the nation's most creative and successful campaigns for community change. To learn more about it and get the inside scoop GovLove chatted with one of the organizers, Carolyn Zelikow from the Aspen Institute, and a speaker, Adam Klein from American Underground in Durham, NC. What's it like managing a community with a theme? Marvin Collins, the City Manager of historic colonial Williamsburg, VA, and Joel Walinski, the City Manager of the Bavarian themed Leavenworth, WA, join GovLove to talk about the unique challenges of managing a city with a theme. From code that requires use from the 1700s to reworking the McDonald's logo to make it Bavarian, they cover it all. Dan Ralley the Assistant City Manager of Upper Arlington, OH and Carl Anderson from ViewPoint Solutions joined GovLove to talk about how to better serve residents in permitting. They discuss Upper Arlington's approach to e-permitting and how it put customer service first. Our fearless intern is back! The ICMA/ELGL Oregon Management Fellow, Madison Thesing talked with Julie Rusk, the Chief of Civic Wellbeing in Santa Monica, CA about their wellbeing initiative, what brought her into local government and the importance of community wellbeing. Taking a Silicon Valley approach to city management, Kelly McAdoo discusses her innovative approach to leading the City of Hayward, CA. McAdoo describes how customer empathy and disruption are key to better serving residents of her city. She also talks about being a woman in a leadership position and how to attract more female city managers to the profession. Atlanta City Council Candidate, Greg Clay, talked all about the ATL and public service. Greg earned his MPA from Kansas University and has worked in city hall as an administrator in Georgia and Kansas. He talked about the decision to leave administration behind and run for elected office, how he feels about the Falcons' new stadium and even his take on the FX show Atlanta. What does it take to handle winter weather? From pre-treatment to salting and plowing the City Manager of Sterling Heights, MI talks about all the preparation and work that goes into keeping roads clear in even the harshest of winters. Mark talked about best practices and loving winter so much he has trouble sleeping before a big snowstorm. The City of Louisville, KY is one of the leaders in local government innovation and we sat down with Ed Blayney, their innovation project manager. He discussed how they used civic hacking to cut down on fires in vacant homes, how they use data to solve problems and more. Ed also gave his recommendations for favorite barbecue and whiskey in Kentucky. We sat down with Assistant City Manager of Charlotte, NC and sock of the month club member, Hyong Yi. He shared his inspiring story of dealing with tragedy and finding the power of love and community. After the death of his wife, Hyong started a 100 Love Notes project to celebrate her life and spread love to other people. Now Hyong focuses on being a great parent and keeping love at the center of his local government work. Beaverton, OR City Councilor Lacey Beaty and Roanoke, VA City Councilor Michelle Dykstra join GovLove for a wide ranging interview on what it takes to run for local office. We talk to each of them individually about their paths to public service and get them together to compare notes and give advice to anyone interested in how to run for city council. Dr. Brian Williams from the University of Georgia School of Public and International Affairs, joins GovLove to talk about policing. From community policing to representative bureaucracy we covered it all. Dr. Williams has worked with police departments and community groups across the country to improve relations between police and communities of color. The three GovLove hosts, Kent, Kirsten and Ben, got together to take a look back at 2016. They each picked their Top 5 episodes of the year and discussed their selections (43:50). Segments included: The most listened to episodes of the year (0:50); Three of a kind (7:20) featuring holiday movies, ELGL memories, holiday songs and books; Listener questions (22:40); Favorite iTunes reviews (28:30); Goals for 2017 (31:20); and the episode ended with "Can't Let it Go" where each host picked something they're obsessed with right now (1:14:50). Podcast on podcasting! Kent sat down with three leaders in local government podcasting: Dana Berchman of Gilbert, AZ host of Government Gone Digital; Benjamin Brown from the North Carolina League of Municipalities, host of Municipal Equation; and Matt Horn from Geneva, NY host of 47 Castle Street. They talked about what it takes to start a podcast, why it's a valuable communications tool and more. Earlier this month, GovLove hit the road and explored Charlotte, NC thanks to an invite to the NCLGBA Winter Conference. We used the conference as an excuse to talk to two awesome administrators working for the City of Charlotte, JL Lawrence and Rob Phocas. We talked to JL about public transit in the region and citizen engagement, then we chatted with Rob about sustainability and Charlotte's smart district. Paul Leonard the Township Manager of Upper Dublin, PA came on the podcast to talk public safety, emergency response and his favorite podcasts. Paul has been in local government for 30 years and is still an active fire fighter. The game that launched a thousand local government careers. From future planners to city managers, SimCity inspired lots of local government leaders to pursue their chosen career. We talked with Ocean Quigley, the Creative Director at Facebook and former Creative Director at EA in charge of SimCity. We sit down with Nick Kittle about his work with Adams County, CO on innovation and sustainability initiatives. Nick shares how he combats "energy vampires," and shares his definition of "innovation." Nick also gets real on the podcast, sharing his life experiences and how they have motivated him to serve the public and focus on his family. We sat down with the CEO of Archive Social, Anil Chawla to talk civic technology and the GovTech Podcast. Then the tables get turned and Anil asks Kent Wyatt about the story behind ELGL and GovLove. George Hawkins the CEO of DC Water comes on the podcast to talk about his path to local government, the innovative things the DC water system is doing and more. The League of Women in Government is an exciting new group working to bring attention to the issue of gender equality in local government. Specifically they've focused on raising the percentage of women in chief administrative officer positions from 13 percent, the rate it was in 1984 and 2014. GovLove interviewed three leaders involved with the group who spoke at a symposium before the ICMA conference in Kansas City. The return of Between Two Interns! For their first episode they grill Anthony Hooper, the Public Works Director of Lake Oswego, OR. Our new interns, Ashley Sonoff and Madison Thesing, are both Fellows in the Portland, OR area. For the first part of the episode we get to know them and their path to local government. Then the interns talk with Anthony about being a manager, getting creative to advance and more. On October 21st Engaging Local Government Leaders (ELGL) held six pop-up conferences across the country involving more than 550 local government administrators. Organizers from each of the locations come on the podcast to talk about what they were inspired by and their favorite speakers and sessions. #82 Twitter & Free Speech: What's mute got to do with it? How does blocking or muting someone on Twitter affect free speech? Angela Greben has been doing research into precisely this topic. She has been filing records requests across the country to find out who elected officials and public Twitter accounts have been muting to find out if it impacts your first amendment right. What's it like to launch a new city website? In an interview from the 2016 ICMA Conference in Kansas City, Mike Ekey from the City of Raymore, MO and Ashley Fruechting from Vision Internet tell the story of Raymore's process and launch. From the bid process to the ribbon cutting (yes ribbon cutting of a website) Mike and Ashley give a behind the scenes look at the process. Ron Holifield from Strategic Government Resources comes on the podcast to discuss culture and how it can impact hiring and brand perception. The interview covers everything from servant leadership to how prepared local governments are for the "silver tsunami." We sat down with Assistant City Manager Rick Usher while we were in Kansas City, MO for the 2016 ICMA Conference. He discussed the city’s new streetcar, bringing Google Fiber to the region and supporting the start-up community. Rick also shed some light on KC’s ties to history and how the city has changed in his 30 year career at City Hall. It's all dad talk in this week's episode! Four guests come on the podcast to talk about balancing being a father and working in local government. Patrick Rollens (Corvallis, OR), Ryan Adams (Irving, TX), Ben McCready (Normal, IL) and Matt Yager (Plano, TX) talk about dealing with sick kids and what workplaces can do to be more family friendly. Live from #ICMA2016! GovLove was in Kansas City, MO for the annual conference and found some time to sit down with Amy Garmer from the Aspen Institute and the director of the Dialogue on Public Libraries. She talks how libraries are changing, "technology petting zoos" and more. As President of Novak Consulting, Julia Novak helps cities across the country with everything from executive recruitment to strategic planning. She comes on the podcast to talk the rise of incivility in government and the need to think of public service as a "barn raising" effort. The Department of Labor released new rules for exempt and non-exempt employees. In this episode we sit down with Kristin Donald, the finance manager of Apex Park & Recreation District in Colorado, to talk about what organizations are doing to get ready. Soofa Benches' Ed Krafcik comes on GovLove to talk about smart urban furniture appliances. Soofa creates solar powered charging stations that double as park benches. He and Kirsten also discuss smart cities and the role of technology in government. Kirsten, ELGL's Executive Director, talks with Captain Chris Hsiung from the Mountain View, CA police department about everything from affordable housing in Silicon Valley, to the challenges and opportunities of a modern police career. Ben sits down with Kate Queram from the Greensboro News And Record to talk about media coverage of local government. Prior to her tenure covering Guilford County, NC, Ms. Queram worked as a reporter in Wilmington, NC and Madison, WI. 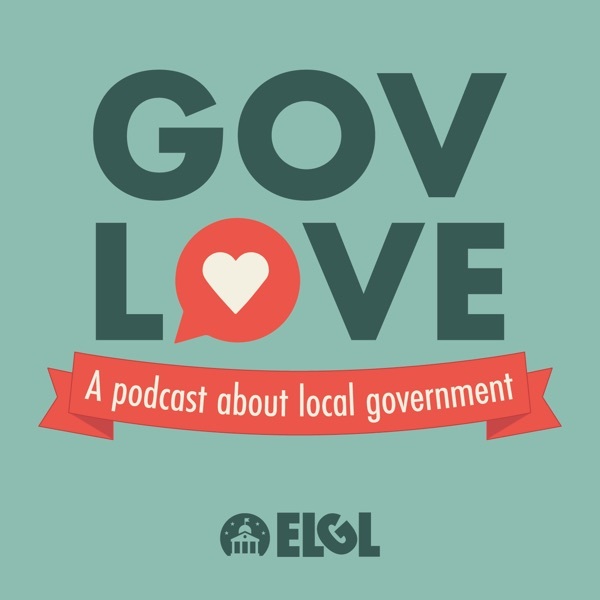 In this episode of GovLove, Kirsten talks with Rob Carty from ICMA, one of #ELGL16 sponsors. Learn about ICMA's work on local government management topics. Note: this episode of GovLove was taped before the announcement that ICMA has a new executive director, Mr. Marc Ott from Austin, Texas. In this bonus episode we return to Wisconsin for an interview with the Assistant to the County Administrator of McHenry County, Jim Hurley. He and Kent talk all things communications including Jim's own dive into the world of podcasting. Kent, Kirsten and Ben were together in Wrightsville Beach, NC and used the opportunity to talk together about Kirsten's gender discrimination tort claim notice and eventual departure from West Linn, Oregon. They talk about discrimination, the step-by-step process to stand up for yourself, and Kirsten's transition from local government practitioner to ELGL Executive Director. What does it take to make cities more innovative and efficient? What Works Cities is an organization that strives to answer that question. Kent Wyatt sat down with Director of City Programs for What Works Cities, Zach Markovits to find out more about the organization. Deep in the heart of Texas. Kirsten Wyatt sat down with Jennifer Jones, the Deputy Director of the Texas Sunset Commission, to talk about her work improving the efficiency of State government. Their evaluation team takes a hard look at departments and programs asking the question, is this still needed? Reporting from Wisconsin Kent Wyatt sat down with Heidi Voorhees of GovHR USA to talk about recruiting in local government. He also discussed the search for the new ICMA director. In honor of the New Fiscal Year we have a budgeting focused episode. Participatory budgeting is one of the latest trends sweeping cities across the country, we sat down with Karen Kixmiller from the City of Greensboro, NC to talk about their experience with participatory budgeting. To celebrate Independence Day we're sharing this interview with Josh Schoemann the County Administrator of Washington County, WI. He discussed how his experience in the military shapes his work in local government as both an administrator and elected official. How many women lead local governments across the country? Is it still 13 percent, or is there more to the story? Kirsten Wyatt and Stacy Schweikart come on the podcast to discuss the latest ICMA data on women in the profession. Follow along with their article series at elgl.org. This week we profile an innovative community engagement effort from the City of Charlotte, North Carolina. Sarah Hazel and Monica Holmes come on to talk about Open Streets 704, an event where they shut down the streets to cars and opened them to people. The interns make their triumphant return! Roger Gonzalez and Mark Yager talked with Lake Oswego, OR city manager and Portland State professor, Scott Lazenby. Their conversation covered innovations in local government, getting rid of the performance review and more. We sat down with Chad Doran the communications coordinator for Appleton, WI. Recently he started a citizens academy to help residents learn more about the operations of the city and engage with their local government. Our conversation also covered the challenges of local government communications and the best pizza in Appleton. Across the nation communities are dealing with the issue of minimum wage, especially in cities with rising rents. Cities and counties are taking the initiative to raise their own local wage in response. For this episode we have four California local government professionals talking about what their community has done. Guests are Kimbra McCarthy from Mountain View, CA; Matt Bronson from San Mateo, CA; and Andy Agle and Gigi Decavalles from Santa Monica, CA. Kent is joined this week by Brian Ligon from Round Rock, TX and Scott McDonell from Dane County, WI. These two are the brains behind Ron Pitchman and Chad Vader, the stars of two of the most creative local government videos we've seen. They discuss local government communication and finding creative ways to get your message out. The Finance Directors of Milwaukie, OR and Canby, OR join Kirsten to discuss the pros and cons of annual budgeting and biennial budgeting. Casey Camors and Haley Fish share their experiences and trade jabs in this week's episode. Clackamas County, OR Finance Director and incoming GFOA President, Marc Gonzales, joins us this week. Marc discussed everything from how he got into local government accounting to joining GFOA and seeing Bruce Springsteen in concert. What's it like to manage a parks system for over 8.5 million people? For this week's episode we sat down with New York City Parks and Recreation Commissioner Mitchell Silver. He's a planner with over 30 years of experience and took the helm of the big apple's parks system in 2014 after serving as the top planning official in the city of Raleigh, NC. We discuss everything from borderless parks to gentrification and Robert Moses. This week on GovLove Kent Wyatt sits down with Josh Dukelow and Jon Stehle on what it's like to run for local elected office. Everything from dealing with the pressure of debates to endorsements and fundraising. This episode was also streamed live on Periscope back on April 26th. This week we sit down with Professor Philip Joyce from the University of Maryland School of Public Policy. He recently wrote an article for Governing Magazine on what governments at every level need to do to attract millennials to the sector. We go through his five recommendations and explore how to make those changes. Intern takeover! The Oregon local government fellows, Roger Gonzalez and Mark Yager take the reigns on this week's episode. They chatted with Hillsboro, OR City Manager Michael Brown on everything from his hatred of email and why he plays with fruit to attracting businesses and engaging youth. This week's guest went viral recently with his honest and straightforward tweets about the state of public transportation in San Francisco, CA. Taylor Huckaby chatted with Kirsten Wyatt about the importance of transit, why local government needs to communicate more openly and more. Kent Wyatt sits down with Gabe Klein and Leah Treat to talk about their time in the City of Chicago Mayor's Office, Leah's work as Portland's director of transportation, and Gabe's book, "The Start-Up City." Their conversation covers everything from innovation in city government to balancing parenthood and a career. Gaming and urban planning meet in this week's episode. Lisa Nisenson and Sarah Lewis from GreaterPlaces join GovLove to talk about how they are using a card game to help people talk about their communities. They are the minds behind 'Cards Against Urbanity' and their next project will work to help communities engage with citizens in their planning efforts through games and more. By now you have probably heard John Oliver's "Last Week Tonight" segment on special districts where he proclaimed them, among other things, ghost governments. On this week's episode we have two administrators that work for special districts to explain the benefits of this unique form of government. Cassandra Ulven from Tualatin Valley Fire & Rescue in the Portland, OR metro region and Bobbi Nance from the Park District of Oak Park, IL lend their perspective and expertise. Bridget Doyle and Kirsten Wyatt get together to recap their #Frank2016 experience. The Frank conference is all about public focused communication. Between quoting Damn Daniel and avoiding bats Kirsten and Bridget learned some communications tips and ideas for future ELGL conferences. We've got a ground breaking episode for you this week. Host Kirsten Wyatt sat down with Oxnard, CA Police Chief Jeri Williams and Gilroy, CA Police Chief Denise Turner. These two women both rose through the law enforcement ranks on their way to sitting in the big chair. Each Chief shared their perspective on women in local government, law enforcement and the work it takes to be a leader. It's polling season! With primaries across the nation underway and the national election coming this fall the news and internet have been flooded with poll results. Kent Wyatt talked with Dr. Kenneth Fernandez from Elon University to talk about the Elon Poll, which acts at the poll of record in North Carolina. They discussed everything from the presidential race to the nitty gritty of polling. What if there was a way to get local governments, school systems and non-profits all working toward the same goal of improving student achievement? That's precisely the mission of Say Yes to Education. This organization works to support kids so more of them graduate high school and go to college. Ben sits down with Mary Vigue, the executive director of the newest Say Yes community Guilford County, to learn more about the program and how it works. The Oregon local government interns are back! Roger Gonzalez and Mark Yager sat down with ICMA president Pat Martel for an edition of Between 2 Interns. They chatted about everything from getting started in local government and standing out in a pile of resumes to Pat's goals for her ICMA presidency. A few months ago, ELGL Co-Founder and GovLove host, Kent Wyatt sat down with two people active in the local government tech scene. His guests were, Tamara Manik-Perlman, CEO of Next Request and Chris Maddox, CEO of Seneca Systems. Their conversation covered everything from transparency in government and user experience to the Warriors win streak and celebrity look-a-likes. This week GovLove sits down with Lee Worsley the Executive Director of the Triangle J Council of Governments in North Carolina. He explains what a COG does and the role they play in everything from elderly care to high speed internet. Lee also tells us about leading small and big counties and where he stands on the east vs. west Carolina BBQ debate. After one of the worst tornados on record, many thought the city of Joplin, Missouri would never be the same. But local residents, nearby agencies and volunteers from across the country banded together to help the battered town. City Manager Sam Anselm describes what the recovery was like and how far the city of 51,000 has come in the last 5 years. What's it like to balance a two career household when both people are in local government? Meet Bo and Michelle Ferguson, they've been doing just that for most of their careers and have found a way to make it work. Listen as they discuss their career paths, work-life balance and eggnog recipes. Two local government administrators who also happen to be veterans. Will Doerfer (Hyde County, NC, Special Assistant County Manager and NCACC/ICMA Management Fellow) and Darrin Tangeman (District Manager, ‎Pueblo West Metropolitan District) discuss transitioning from a military career to a local government career. Learn how local government can be more proactive in reaching veterans. Join Tim Wolff (Lake Isabella, MI), Matt Yager (Plano,TX), Mike Ekey (Raymore, MO) and Ben DeClue (Lebanon, MO) as they discuss the benefits and drawbacks of ICMA's Tenet 4, which includes a guideline directing ICMA members to serve a minimum of two years in a job. Tim, Matt, Mike and Ben bring their unique perspectives to this GovLove episode. This week the GovLove team sits down with Martha Perego from ICMA and Julie Underwood the Assistant City Manager of Daly City, CA to discuss one of the hotly debated guidelines for ICMA members, the two year job requirement. This is part of the ICMA code of ethics and essentially encourages members to stay in a position for at least two years before moving on. In honor of Halloween we’ve got a scary local government story. What would your town do if about 80,000 people descended upon it for a night? That isn’t a bad dream, it happened to the Town of Chapel Hill, North Carolina in 2007 and even in the years since, with efforts to reduce crowd size, about 40,000 costumed revelers come to the town annually. GovLove talks with Chapel Hill Police Chief Chris Blue and interim Fire Chief Matt Sullivan about all the work that goes on behind the scenes to put this event on. We introduce a semi-recurring series called 'Between Two Interns,' and talk with the Oregon Local Government Interns. Roger Gonzalez and Mark Yager discuss everything from their impressions of Oregon to the term millennials and the projects they're working on. In this episode of GovLove, we talk with Cam Marston, an expert on the impact of generational change and its impact on the marketplace. As an author, columnist, blogger, and lecturer, he imparts a clear understanding of how generational demographics are changing the landscape of business. Recently, Cam shook things up at the League of California Cities Conference during his presentation on generational differences. Several ELGL members took notice and engaged in a lively Twitter discussion focused around some of Cam’s research and comments. Anyone that works in local government knows that the annual budget is one of the most important efforts an organization goes through each year. But getting citizens involved can be challenging. Our two guests on today’s episode of GovLove has made efforts to make the City of Asheville, NC more open so that more citizens can get involved and be heard. Eric Jackson is the CEO of DemocracyApps and Tony McDowell is the Budget & Financial Reporting Manager for City of Asheville, NC. From intern to County Manager. Tom Lundy has become a legend in Catawba County, NC. He's been the Manager at Catawba for 36 years as well as served as the President of ICMA, the National Association of County Administrators, and the North Carolina City-County Management Association. In this GovLove Episode, Lundy talks about his perspective on local government, how things have changed during his career, and some of his advice. "A computer beat me once at chess, but it was no match for me at kickboxing." Glen Ocsko is chock full of these kinds of equal parts hilarious and true -isms for local government folks. As the founder of WeLoveLocalGovernment.com and a private consultant for public sector digital solutions in the United Kingdom, he knows what he’s talking about. Guilford County recently opened its own Family Justice Center with the vision, "To protect the vulnerable, stop the violence, restore hope, and make our community safer." This episode of GovLove is with Catherine Johnson the Director of the Guilford County Family Justice Center and the person who was tasked with getting the center up and running. How can governments up their Twitter followers? Increase traffic to parks? Lori Hall, the Citizen Engagement Coordinator at the City of West Linn, breaks down her social media strategy. GovLove Co-Host Kirsten Wyatt and Bridget Kozlowski, Community Relations Director for Sterling Heights, MI, dive into the important issue of increasing the percentage of women in local government. These two women have been champions in leading the conversation on how to speed up the glacial pace of women entering into the local government space. Two guests from the City of Durham, North Carolina join GovLove to discuss budgeting and engaging residents in the budget process. Bertha Johnson, Director of Budget & Management Services, and John Allore, Assistant Director of Budget & Management Services, share what's going on in the Bull City. From an E-Town Hall to Coffees with Council, learn about what they're up to.